Writing Tips Oasis previously focused on writing fiction and many of its genres, subgenres, and categories. 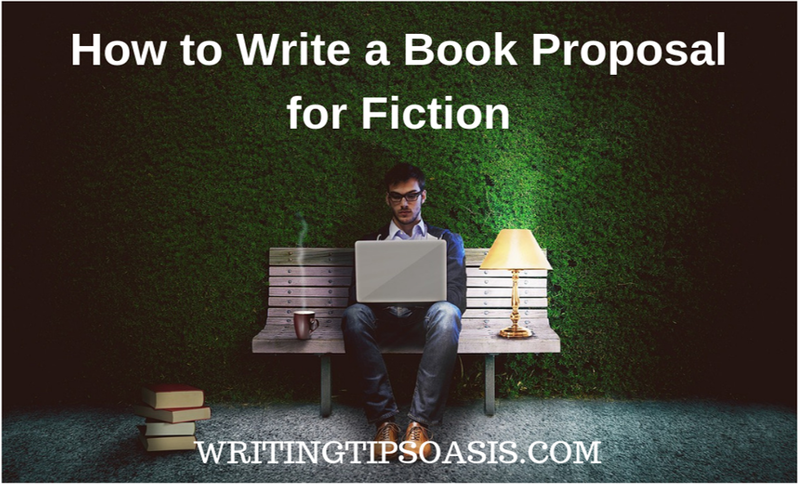 Now, because every writer needs to know how to write a book proposal, we’ve decided to tackle the subject and create a general guide that can be used for any fiction genre or category. Now, before we continue, let’s get some myths out of the way. Myth #1: book proposals should only be done for non-fiction books. This one is not true. Many agents and editors are happy to receive book proposals for fiction, especially because fiction book proposals offer a deeper insight into the book, its audience, its competition on the market, and the author, among many other things. Myth #2: you should write the book before you send out a proposal. This one is not that much of a myth as it is a choice. For example, you may have not written a book, but you have a platform with a lot of followers, and maybe even an email subscription. You may want to see what your chances are of getting traditionally published before you write the book. Some writers choose to write proposals before they write the book because they do not want to spend time writing a book that might never sell. On the other hand, if you’re relatively an unknown in the industry, you might want to try to write your book first and then write the proposal. Or, you can write the proposal as you’re writing a book. The book proposal needs to be very concise and precise, in wording and in the information it offers about your book and yourself as the writer, so it might be helpful for you to write it, regardless of whether you will send it anywhere or not. 1. What’s a book proposal? A book proposal is a document that will offer a brief, but very concise information about your novel and yourself as a writer. Usually, it will be divided into several parts, beginning with your book, then your audience and how you can captivate them with your story, then, about you as the writer, as well as your marketability. A good book proposal will include sample pages (or chapters, but never more than two or three), where the agent or the editor can get a good look at your writing style and the story you want to tell. You might be asking yourself why you need to write a book proposal. Primarily, you might need to write one because an agent has signed you on and they’re requesting a book proposal that they will send to publishing houses. This would be the ideal situation, considering that a lot of editors and publishing houses do not read unsolicited book proposals or manuscripts. Second, you might be one of the lucky writers out there whose unsolicited query letter to a publishing houses has been accepted, and the publishing house has asked you to write a book proposal and send it to them. Third: writing a good proposal will give you great insight into your novel, especially if you are still in the process of writing it, or have yet to begin to write it. However, depending on your goal, you shouldn’t just write a book proposal and send it everywhere (agents, publishing houses, editors). Book proposals should be tailored: to yourself as the writer, to your book, and to the agent (or editor or publishing house) you’re submitting your work to for appraisal. There are certain technicalities when it comes to writing a book proposal. Each editor or publishing house, for example, have submission rules. Some of them, as previously mentioned, do not receive or accept unsolicited manuscripts, proposals, or even query letters. This means that you cannot just submit your work or send your proposal letter to a publishing house without an agent, unless the publishing house has announced that it receives unsolicited material (usually on their website). And, regardless of their stance on unsolicited proposals, they have probably published their own guidelines in terms of font, spacing, formatting, and even outlines and necessary information that you should provide in your proposal. So, if you already have a publishing house in mind, research their guidelines. However, what you should also do, at this stage, is also research the titles that the publishing house has previously published. Determine how similar or different your book is compared to their established titles, for it will help you in writing the book proposal. It’s not easy to write a proposal. You might be able to just jump into writing one, following a template, and come up with the perfect proposal. Only to realize that your whole proposal is longer than 20 pages. Yeah, that might be a tad too long. It’s easy to get lost in your story, and within the proposal, you will need to offer a book summary, or a synopsis, where you describe what happens in your novel, plot-wise, and what your characters learn within it (character’s arc), and before you know it, you end up retelling every scene because every scene is important to plot and character (ideally), in which case, the effect of such a proposal will not differ much from the effect of sending an unsolicited manuscript to a publishing house that does not accept them. So, before you begin, discover which things you need to focus on. What are your strengths as an author? Do you have a blog or a big following? Have you been active in the business before, or will this be a first time for you? Focus on discovering just how much of an attraction you have at the moment as a writer whose novel will hit the market soon. You will need to summarize all of these within the proposal, and more. Now, let’s take a deeper look at each of these. We will talk more about the formatting standards later, but for now, it’s worth noting that a fiction book proposal’s template depends on the agent or publishing house you’re sending it to. If the agent or the publishing house have not expressed submission guidelines (usually on their website), there are standard templates that you can use. The description of content needs to include the title, the number of words in your book (not pages! ), the target audience, a short logline, a brief description of the story (often also called a blurb), and, you might want to add a quick information about the issues you’re focusing on in your novel, as well as content warning and triggers (if you deem your novel to have some). The title of your book is important. The simplest, one or two word titles can work wonders, but that did not stop Harry Potter and the Philosopher’s Stone from being published. In any event, choose the best title you can for your book depending on the genre, but also remain open to alternative titles, and offer some examples on your own. The number of words in your novel is also important, and largely, it depends on the genre. For example, an epic fantasy is longer than 110,000 words, but most novels fall between the mark of 60,000 and 100,000 words. This means that if you wrote a romance novel longer than 100,000, you should consider editing it and making it shorter, since most romance novels have around 75,000 words. Publishers need the word count of your novel to have better insight into printing costs. If you offer a novel of more than 100,000 words to a relatively small publisher, you might get rejected just because it will be too expensive for them to publish you. You don’t need to put in extensive information about your target audience. However, you do need to define the age of your intended audience. For example, if your novel is a young adult dystopia, your ideal target audience would be: young adults, ages 13-17, fans of Hunger Games and Divergent. The books you list here in this section should also be included in the competition section. When it comes to the logline and blurb (not the synopsis! ), you need to be short and precise. For example, let’s say that you’re writing an urban fantasy novel where the protagonist discovers she can create illusions of monsters that come to life. The logline for the story might read: When a young woman discovers her shocking powers of illusion, she races against the clock to dispel them before New York is destroyed. For the same story, the blurb would read: In 2018 New York, Marie Lane is trying to live a normal life. Her mother Charlotte was recently diagnosed with a mysterious disease, so Marie has been working as many hours possible at a small subway diner. One night, as she’s waiting for the train, a homeless man attacks Marie, but two monsters that often appear in Marie’s nightmares come to life behind him and kill him. Before Marie has a chance to react, the monsters disappear deep into the underbelly of the city. Soon, more bodies show up, and all of them are connected to Marie. As the police start putting two and two together, Marie has to find the monsters and discover how to dispel them before it’s too late. In other words, the blurb and the logline need to offer information about the central plot of the novel, the protagonist, and what the story is about. It’s worth noting that having both a blurb and a synopsis in a book proposal can be overdoing it. Depending on your story, a blurb and a logline might be enough, especially if you are dealing with specific themes in your novel. In that case, you can use a blurb section and themes. Try to explain the themes not in a general way, but specifically how the themes are represented in your novel through the characters. A detailed synopsis that still manages to be short and concise might be a bit too much to ask, but it’s important to understand that a synopsis will do a better job at letting the agents and the publishers know your story better. Yes, you will need to recount the events of your novel, your characters and their arcs, and you will need to include spoilers and plot twists. Do not be afraid if the synopsis turns out to be more than a page or two, making your proposal longer. Remember, here you need to describe every event of the plot, and the character’s arc of your protagonist as well. This might take one or two pages to do completely, and there is no need for you to try to keep plot twists or sudden surprises hidden. Your publishers would need all of that information to get a better feel of the story you’d be offering to the readers. Most writers would tell you that this section should be called “comparables," rather than competition. And we agree, in a book proposal, the title “comparables" creates a better impression. That doesn’t mean that you don’t need to see these books as competition, because they will be. Readers like to read similar books, that’s true (otherwise, all genres would have only one book to represent each). Also, there is nothing new under the sun. All stories have already been told. What’s different with each other is the interpretation. Your young adult dystopian novel will be different than The Hunger Games, because you as a writer have taken the idea of a dystopian future and offered a different interpretation. Still, that doesn’t mean that The Hunger Games is not part of your competition. In fact, your readers will compare your book to The Hunger Games, looking for similarities and differences. In your comparables section, you need to do this too. You need to choose at least three titles from your genre, read them (if you haven’t done so previously), analyse them and present the differences and similarities to the agent or the publisher. This will show them that your novel will attract readers in your genre, and still be an original story. Note: It’s important to read the books that belong in your competition. First, you don’t want to sound unprofessional in your comparables section, and this is bound to happen if you have never read the book you’re comparing your own novel to. Second, you should read those novels almost as soon as you’ve decided on the genre. It’s important because you might make story and plot choices that will be very similar to a novel that’s already been published. It’s not uncommon for two writers to come up with similar ideas, especially if their novels are within the same genre. In this section, you are letting the publishers or agent understand what kind of a marketing plan they will need to promote you. Here is the kicker. Let’s say that the publishers have a pile of 10 book proposals to go through. Let’s say that you’re an unknown and have virtually no online presence anywhere. Let’s say that you cannot really offer much in this section, and the subsequent one (promotion plans). Let’s say that only two of the book proposals have a solid online presence. They blog about writing, about their own books, they may have published some free excerpts and short stories on their website or another website dedicated to free fiction written by unknown authors like Wattpad. They have listed in this section a following of about 5,000, and 10,000 people respectively. The second one even has a mailing list of a 1,500 subscribers, and send out a newsletter every week or month. Even if your story is better than the others, even if the person with the 5,000 followers has also a good story, the publishers will more likely go for the author who has a following of 10,000 people, mostly because the publishers understand that at least 10,000 people will be interested in buying the author’s book. Yes, we know this is unfair to unknown writers who prefer to hone their craft before they make an attempt at reaching the world, but that’s how the internet and social media affected the publishing industry. Today, your number of followers, your online (and local) outreach is very important to your chances of getting published. We say chances because your story might still get rejected, even if you have thousands of followers. The reader of your proposal (agent, editor) is the one who will ultimately decide if they like your story or not, and you can bet that their choice will be subjective. What you can do if you cannot fill out this section to your satisfaction is to create an online presence for yourself. You can still send out book proposals, but since generating a big online presence doesn’t happen overnight, you need to start somewhere. Places like Goodreads or Wattpad are a good way to start, but you should also consider creating your own author’s website, a subscriber list, and blog. If you already have a steady online presence, congratulations! You’re on the right path, and all you need to do is list all of your outreach mediums (readers on your blog, email subscribers, followers on social media). On the other hand, if you have an Instagram with 2,000 followers and it’s your personal Instagram where you post pictures of your cats and selfies, maybe you should leave it out of your book proposal, unless the Instagram account is about you as an author and your followers are your readers. This section is not about what the publisher can do to market and promote your book. It’s about what you can do to market and promote your own book. Let’s say that you have contacts in your local bookstores, have been in the publishing industry for some time now, and even though this is your first book, you have participated in events and writing conferences, and have a solid network of people in the industry. In this section, you need to list the things you can do for your book. Do not wait for your novel to be published before asking your local bookstores if you could do a reading there – ask beforehand, and if you receive a positive answer, let the publishers be aware of this in this section. You have been a keynote speaker and will do so in an event a few months from now, you can make guest posts on the blogs of influential people. Make sure to share how many people you could reach, by yourself, to promote your book, and in how many ways you could do it. This will let the publishers know that you, on your own, are able to help with promotion and marketing, which again, increases your chances of getting published traditionally. We mentioned before that if you can make guest posts on influential blogs with many followers, you should share that information in your proposal. The endorsements section is where you will list specific people who are already big names in the industry endorse you as a writer. If you do not have these, do not despair! If a publisher decides to take you on, they might send out ARCs (advanced reading copies) of your novel to popular reviewers and famous authors (if they themselves have the reach to do so). However, it’s a good idea to begin networking on writing conferences and similar events (if you haven’t started already). It’s always a good idea to get feedback on your work, especially from other professionals, but the real benefit is the connections you will be able to make, both during the event and afterwards. Imagine that you’re holding your book. Imagine that you’re looking at the little corner where it says “about the author." What would you like it to say? Imagine it and write it down. It needs to be short – so don’t go overboard, you’re not writing a full biography. Usually, a bio includes information about the author’s journey to becoming a writer, the author’s previous success (if possible), like awards, endorsements, competition wins and prizes, and so on. Then, a bio would end with where the author lives and with whom, for example, “she lives in London with her husband and their two kids." We already mentioned that the inclusion of sample chapters depends on the agent’s or the publisher’s submission guidelines. If the submission guidelines allow for sample chapters in book proposals, they usually do not allow more than three. Pick these sample chapters carefully. You can choose the first few chapters, or maybe you will make the choice to send important chapters in the middle of the story. In this case, the better option is the first three chapters, rather than later ones. First, your publishers want to know that, well, you’re not boring. A lot of first time writers think that they need to open with a normal day in the protagonist’s life, with a lot of background story told to the reader in the first two chapters. In fact, it’s much better to begin with the action as soon as possible. Showing that you can do this in the first couple of chapters will let the publisher know that you’re not dragging on your story way too long. The first three chapters will also let the publishers view your writing style, the references you might use, and how you write your action scenes and the scenes that are calmer and reflective in nature. They say that you never get a second chance to make a first impression, so make sure that your book proposal is formatted the right way. Some writers will tell you that what is really important is the text in the proposal (the description of your book), rather than what font its written in and how the lines are spaced. However, we will make a very generous bet that a proposal written in comic sans, for example, will not be taken very seriously by an agent or a publisher. In fact, they might even take it as an insult at worst, or a joke at best. (Comic sans is just a really, really bad font). If you’re sending your proposal in a physical copy by mail, make sure to bind it with a paper clip. Do not punch any kind of holes in the proposal; no stapling, binding, or even gluing the pages together. Note: in your book proposal, after the tile page, the information up to your target audience can fit into one page, while the rest (especially the synopsis) can take a lot more than one page. It’s a good idea to include a table of contents to make it easier for the reader (agent, editor) to navigate the document. If you have any other elements to add in your book proposal, like an author’s note on the book, make sure to include them before the sample chapters. The sample chapters should always come at the end of the proposal. Make sure that these additional elements are really important and can have an impact in convincing the agent or the editor to ask you to read the whole manuscript. Do not include illustrations or pictures of characters, artefacts, objects or places. Be careful with this section, because you don’t want to include too much information that bogs down the reader, making them unwilling to proceed to read your sample chapters. 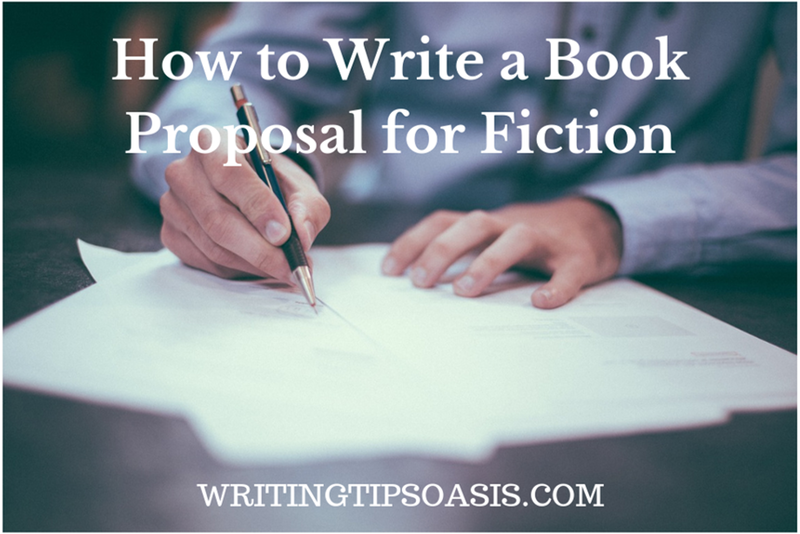 A book proposal for fiction is important in getting traditionally published. You can send them out to agents and publishing houses (if they accept unsolicited book proposals). Also, if you want to get an agent to represent you, you may wish to begin with a query letter first, and then send a book proposal. Always, read submission guidelines and make sure to match them. Do not bog down your proposal with repeated information and unnecessary information (like what the characters are wearing, unless it’s a period piece and the clothing is plot relatedly important). Analyse and understand your own marketing and promotion capabilities and include them in your proposal. Keep your bio short, interesting, and precise. Be polite and respectful in tone, and thank the reader for their time. We hope this guide will help you write book proposals that will yield positive results in agents and editors.